Marketing Week held an interesting interview with SEGA Europe marketing director Jon Rooke. The interview, which centers around the company’s recent changes and a shift in approach, also touches on the Shenmue series. SEGA allowing Yu Suzuki to use the license to make a third game and the Kickstarter campaign proving to be a success “shows that people love [SEGA’s] legacy”, said Rooke. The article adds that Rooke said SEGA is exploring ways to re-release the original two Shenmue titles. Could it be that much like Valkyria Chronicles performing well on PC, it took the successful backing of Shenmue 3 for SEGA to rethink rereleases of classic titles? 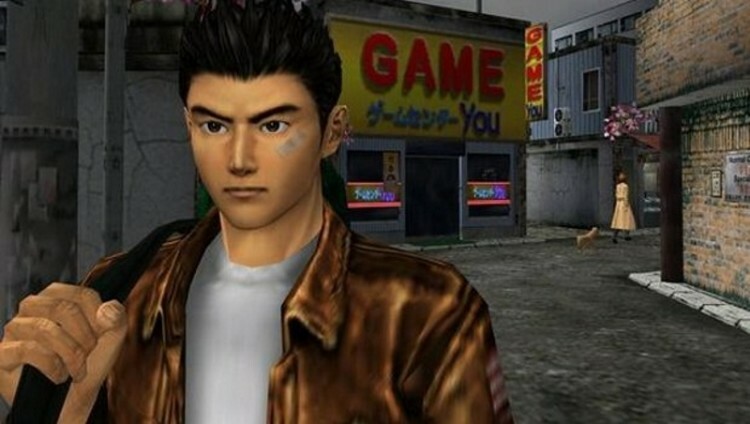 It has long been rumored that there are reasons for SEGA holding out on Shenmue and Shenmue II, chief among them being that there are rights issues standing in the way. Whatever the case, it’s good to hear somebody like Jon Rooke speaking publicly about a possibility of a re-release. When I asked about Shenmue being remade, I was told: “There are lots of opportunities for legacy titles. We are exploring. We know what fans want as they have a petition.” So it now appears that the quote wasn’t referring to Shenmue specifically, but legacy titles as a whole. Interesting read. However, it’s a little frustrating that it took them this long (and the $6m Shenmue 3 KS) to realise that us fans live their legacy. I’m betting that our most 25 favourite SEGA games of all time are from their heyday. Don’t get me wrong, I’m a huge Bayonetta fan and if I owned a PS3, Yakuza and VC would be in my collection too. Still though, it’s encouraging to hear they’re hoping to turn things around. Or maybe this is from another source confirming the validity after all. TSSZ jumped the gun and made up the whole “it’s a rumor!” thing. But the actual quote, rather than what the author interpreted, has been shared and I’ve updated accordingly. They aren’t specifically speaking about Shenmue, but all of Sega’s legacy as a whole. In any case, it still keeps the Dreamcast relevant, as the only legit official way to play them is with a Dreamcast, same as how Panzer Dragoon Saga and Zwei still keep the Saturn relative, if these games were ever to be re-released, then there’d be pretty much no real practical reason for owning a Dreamcast anymore. It’s both reassuring and paradoxically frustrating to hear statements like this. It wasn’t even that long ago that Sega was pumping out great Sega Vintage Collection content on Xbox Live and PSN, having released games like Guardian Heroes, Toejam and Earl Collection, and NiGHTS, to name just a few. When they were asked at the time if they were going to continue that initiative, they were all “of course we are! We have a huge library of classics to choose from.” And then, that was that; they just kind of stopped with that particular initiative. And now they’re going to do it again? That’s awesome, but I don’t understand why they stopped in the first place. I get the feeling there’s little communication within Sega, because the PC ports of Valkyria Chronicles seem to be completely separate initiatives when there’s really no reason to keep them separate.